Super all brick ranch with full basement - ready for finishing! Quiet location facing large farm/open space! Easy walk to elementary and middle schools! Covered east-facing front porch - perfect for warm summer evenings outside! Spacious living room with wood-burning fireplace, and the dining area is open to the updated kitchen with stainless appliances, granite countertops, updated cabinets, and glass tile backsplash! Walk-in pantry for food storage! 3 bedrooms share an updated full bath with tile floor and tub surround! There's also a convenient half bath for guests! 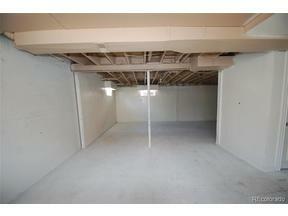 Ample storage areas in the basement, or finish and add additional living space! Half bath and 2nd fireplace in the basement! Don't miss out on this incredible opportunity in Shaw Heights! Some of the updating has already been done - just add your finishing touches!